Blogger Note: Besides the anime have second season in the name, this is not his second rodeo (or season, your call!). For me this will be the Fourth Season (because I consider Nekomonogatari, a season others consider an OVA, I consider a season because it had story into!). 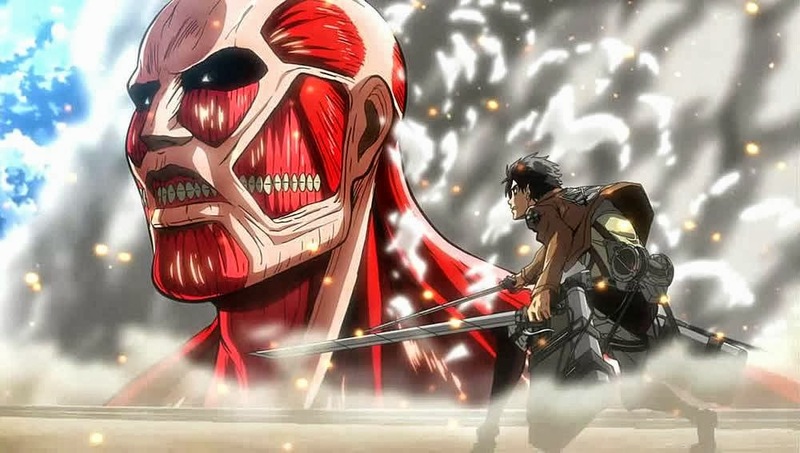 "The Good, The Bad and the Villain"
Blogger Note 2: This show does not follow any rule of order, and like in his previous seasons, it divides the anime in several non relational (at first glance) stories. So the title of this review, is associate to the characters on a global level, actually as you will read, referring to the stories of monogatari second season.I will divide the full review in a mini review per story and mix all in the end! Some anime has a slow start’s, this had a really bad start! I mean, if this was a first season, I much probably had done an dropout, but let’s be fair is the 4th season and had to live with high expectations and paid the consequences! emotional character, that results in oditities to do things for her. character of the story, Aragari appear 1 minute and stole the show! This first story for me, was parade of all the of Monogatari characters, in a non-history environment and with Aragari, without making an appearance, had an always present feeling! "The adolescence of a Snail!" 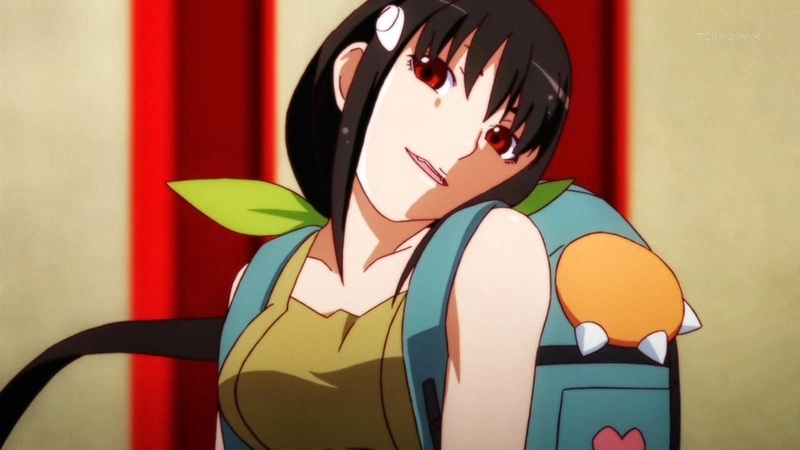 After a bad story, Monogatari delivers its usual quality with an awesome story, hitting my soft spot (major spoiler next :P ) an parallel universe Story! A different pace, a different rhythm, a different joy is what this op. had to offer even an artwork presented. This is totally Monogatari work, with a decent main character, this is Aragari show and this story proved it! awesome consequences and vampire powers to the max! The only bad thing in this, is that the Shaft Studio is exaggerating a little bit in the lolicon story between Aragari and the snail! Please refrain your emotions a little! "Live enough time to see the good guy become the villain"
It appeared that Shaft studio, learned with their errors in the first story and now they split the airing time of the main characters of this arc (Nadeko and Aragari). I wrote now several times, that an opening should be a trailer of the anime and this one was failed! When I saw-it and already with afraid of other boring Tsubasa story, but besides its boring opening this arc was pretty good. Unlike of the transformation of a likeable character (Tsubasa) in a boring one, with Nadeko the opposite happens and we watched to one of the best villains transformations of all time! And leaving a story opened to a major confrontation between Nadeko and Aragari in a future Arc! Leaving to Senjōgahara the responsability to save them all! It’s a sad moment, when one of the favourites characters left the show :(. It may be some denial by my part, I think she will come back with some oddititie evolution, I don’t know, at least the lolicon scenes stops, but is Aragari interaction ends! This is a very sad arc because of the consequences, we go in a trip that reveals some of Shinobu dark moments and it was given a little more of air time to Ononoki (I said, with a posed look ;)) and to her unlimited rule book. I can’t write more about this arc, Sayonara Snail you finally found your way home! By the way, Aragari kissed both the Snail and Ononoki and tried to kiss Shinobu, I will love to see an Senjōgahara reaction to this :P.
It’s rare for me to like of the opening artwork, when the song doesn’t awakes great emotion or interest, but it happened, see Senjōgahara and the Con-artist Kaiki in another register and pictured a little bit, like lovers,it was a good complement to this arc. I'm starting to believe that Senjōgahara can interact (with major success) with any character of the show (exception to the first story majorly because Tsubasa! ), after all, it all started with the Crab God arc, between her and Aragari resulting in the surprising success, of the Bakemonogatari Series! Now, it was Kaiki time to take the spotlight, a character (at least for me) that we learn to hate, now is one of my favourites and I only wish that the final (MAJOR SPOIER ALERT) was to deceive us and lead us to think he died (He is a con-artist after all). In this arc Kaiki was simply awesome, well complemented with Senjōgahara, leaving us to want to know about his past interaction, when Senjōgahara parents were deceived by Kaiki (at least that was the version that she told to Aragari). Kaiki investigation process and his moral code (gain money :)) leaved me to desire for more! In this arc only two things, have upset me a little, the return of Tsubasa (completely unnecessary to the story and still very boring) and an ending of the show Monogatari Season 2 a little tasteless! I can say that the end was a little damaged because of the return of the Snake Goodness Nadeko to her former self! A series that had to live with high expectations, is normal that his quality suffers a little and I think that was what happened with Monogatari 4th season. With some good stories and others really poor but with spirit enough spirit, to want to see more. I only can say Monogatari franchise live’s! The summary episodes, what the hell was that!? 3 episodes remembering the past seasons? A waste of time for who saw the seasons and also for who had the courage to see this without previous knowledge, because if they watch the summary, they only go to be spoiled (and still don't understand) if they decide to see previous seasons! After their debut in 2009 Bakemonogatari is doing fine and able reinvent themselves, with new stories and maintaining also an keep the interest of what happened in the past, so I will hope for more :). Is announced, some stories are still waiting to be clarified! Probably some new characters and oddities have space to be created or to reappear or more character development, that result very well in this season (I want more of Ononoki)! But for now Kizumonogatari (movie) is announced!